* Ceiling fans throughout. * Large front balcony. * Large storage area under house. * In a quiet residential area. 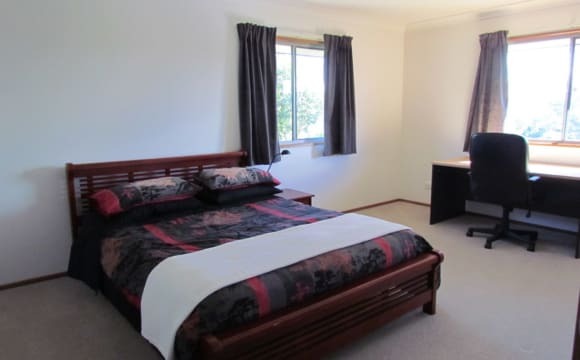 * 1km Walking distance to Riverview Railway station. * 300m / 3min walk to bus stops. * 5mins drive to Redbank Plaza Shopping. * 13mins drive to Ipswich CBD / Riverlink Shopping Centre. * 29mins drive to Brisbane CBD. Beautiful views, 10 min walk to public transport, quiet and safe area. Large yard. Air con in living room, ceiling fans and built ins in all bedrooms, rooms are big enough to fit a queen bed. Close to bus stop and train station, large backyard, quiet neighborhood, close to local shops, dishwasher and washing machine included. 2 lounge areas. My house has a lovely outdoor area with a comfortable lounge to relax on and a BBQ to cook on. There is Aircon in the dinning room. The bus is right outside our door and the train station is not to far away either, Redbank Plaza is only a few minutes drive away. An application to the realestate must be fill out. Hi lovelies! my home is quaint, clean, and quiet. With a large loungeroom and a study. Located in a nice quiet area. There's a bus stop nearby, train station 15minite walk away. I have a large backyard with a patio and native birds visiting often. There is one spare undercover car park. Security cameras outside for peace of mind. The bed has only had adults sleep in it and has been used very rarely. 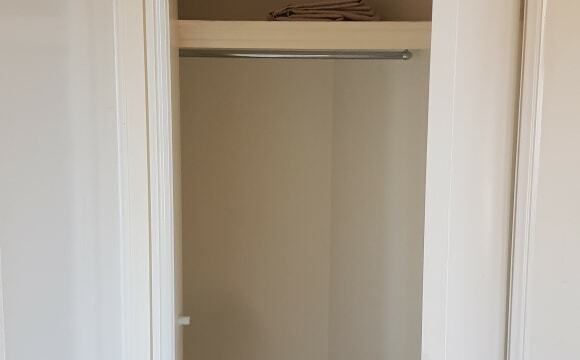 Aside from pictured there's also a built-in cupboard. A queen bed is available for the room but it takes up most of the space. Free unlimited internet. Netflix. Spotify. And use of exercise equipment in the lounge room. The furniture can be stored in the shed if needed. But I don't have room to store any excess furniture I'm afraid. Female is preferred but will accept males based on application. Short-term, temporary and backpackers are welcome. I'll be looking at foster care from December 2019. If this home sounds like it would suit you please send a message. 😊 Good luck with your search and have a happy day! Good size room with queen size bed, desk, tv, aircon etc. in quiet street close to rail station, shops, gym, ready NOw. 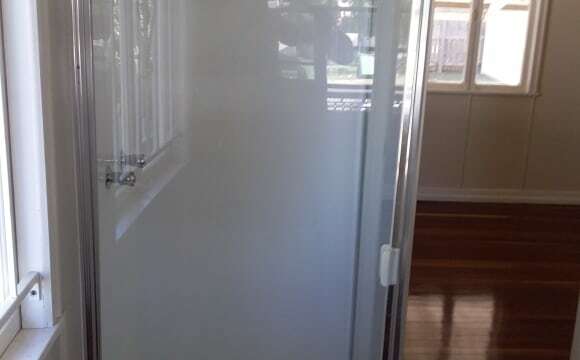 Weekly rent of $175, includes unlimited fast wifi, foxtel, power, water, yard work. The three bedroom house is clean, comfortable with modern facilities and two balconies overlooking the lawns and gardens. You would share with two friendly guys aged between 20 and 40. If you are reliable, considerate of others and pick up after yourself, please get in touch. We have one private, fully furnished, self contained room, with ensuite and kitchenette seperate to the main house. The furnishings include, Queen bed, Dinning table and chairs, Lounge chair, TV, Microwave, Fridge, all kitchen appliances and plenty of storage space air conditioning and ceiling fan. There is also a washing machine and clothes line. The room has a private entry, deck with BBQ and outdoor dining setting seperate to the main house. The house is located on two acres backing onto the Bremer River with vegetable gardens and orchard, which you are welcome to share. We are a fifteen minute drive to Ipswich CBD and train and about 40 minutes to Brisbane CBD, unfortunately we have no public transport. Rent is $250 payable one week in advance. All bills, wifi and fortnightly cleaning are included. You can park in the garage and use the Tennis court, Gym and Spa. In a central location. Close to major shopping centres as well as highways in a quiet little estate. Walking distance to Carl's Jr, krispy kreme, zeraffas, boost juice etc. Property is on Simpson st, Collingwood park. In six mile creek estate. House was recently built. Aircon. Fans. Robes. Washing machine, etc. $150/wk includes internet and netflix/Stan. Electricity will be split. More pictures can be provided. Had none when I made the ad and can't seem to add them now. The property is situated in a quiet neighborhood with four spacious rooms. This a small outdoor area and BBQ facilities. Shared laundry and two fidge/freezer for food storage. Shared driveway for parking or park on the street. Room available. I have a 4 Bedroom house with a Rumpus Room and Main living room both air conditioned, small backyard with 2 Dachshunds. The house is fully furnished except for your room. It's close to the train-station to 2 main shopping areas. It's also not far from the gym. Plenty of road parking. I have one female housemate currently. We're both really relaxed open people who are looking for someone similar I suppose, just want a comfortable clean household haha. 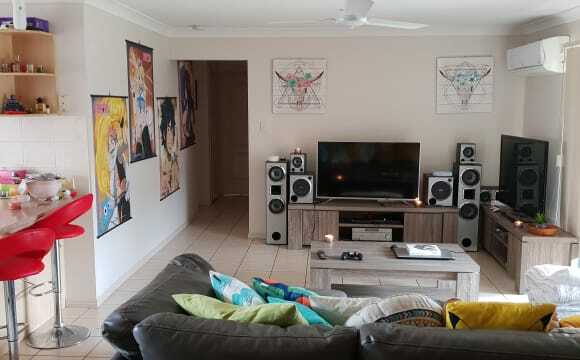 This is a great Share home in Karalee 42 kms or 40 minutes from Brisbanes CBD. So it is our home that we love to share with people that are honest and friendly. 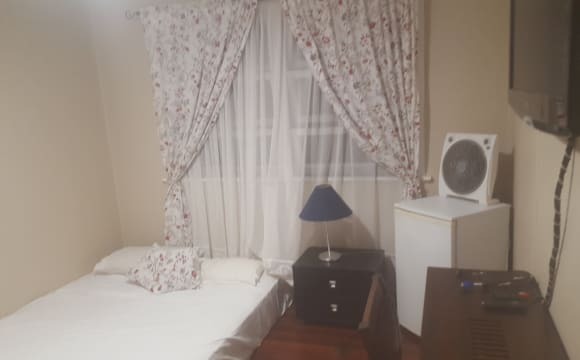 We have one large well appointed air conditioned furnished master bedroom with built in wardrobes, the room has a quality queen size bed with a side tables a bed side lamp a desk plus a office chair and a 32 inch TV . 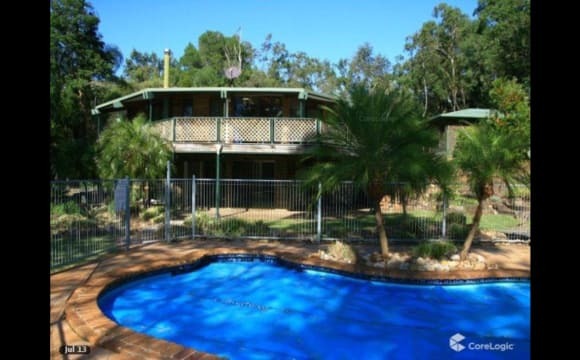 The house has great views situated on one acer over looking of the Brisbane river and surrounding hills . share en suite bathrooms with one other person . The property is in a very quiet street with private suroundings , you will have a pantry to share with one other and share a large modern fridge freezer with one other person . The house is set up by us the owner occupier as a fully serviced shared home with air con in the living area and kitched for those stinky days . All you need to do is clean up after your self and feel at home. The kitchen is fully equipped and all services IE gardens pool and house work is taken care of. The power/ water/ internet etc is included in your $200.00 per week rent. the bond is $400.00 and we require the two rent weeks in advance. The house is very large 450 square meters and all the rooms are about 25 square meters about twice the size of your average room so you don't have to worry about tripping over each other. We are happy to have male or female as long as you are easy to get along with and respectful of others . 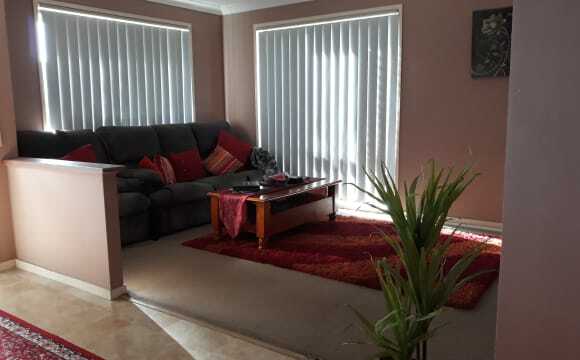 I have two rooms for rent in a nice 4-bedroom house in Goodna. Each room was already furnished with a double bed and mattress. The house is located in a quite residential area. It is good to someone having a car or willing to walk. - Distance to shops: 1.8km to St Ives shopping centre, 2.1km to Redbank Plaza. 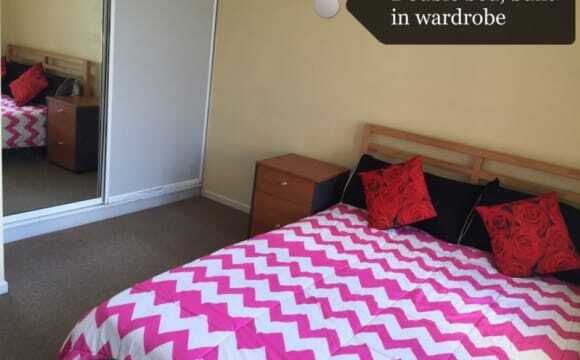 - 5 mins walking to bus 524 (on Smith Road) - Easy to access to M2 motorway. - Parking available. Seeking for clean, tidy and responsible house mates. The rooms are available now. - Room rental is $140, including Electricity, Water and Unlimited Internet. - A bond of $280 + rent for 2 weeks ($280) is required upon moving in, totally $560. Then the rent will be paid every fortnight ($280). 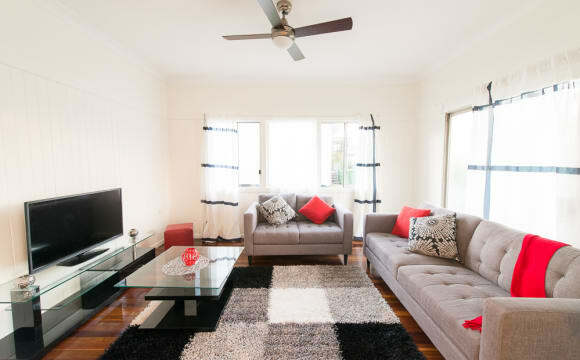 - Shared facilities: kitchen, living room, sunroom, bathroom &amp; toilet. Please see pictures for more details. Please contact Ronan via Flatmates Message for inspection or if you have any question. 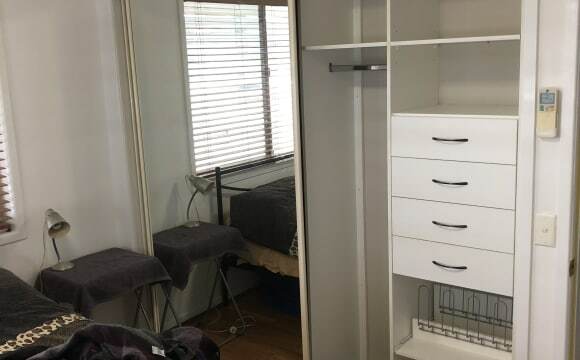 Off street parking, unlimited internet included in rent, solar power (monthly power bill usually under $50-only pay 1/3), 5 min walk from Brothers leagues club and 24hr gym, 10mins drive to centre of Ipswich or 35mins to Brisbane, Close to public transport (bus stop at end of street and train station down the road), Close to local shops. Close to highway (not so close it keeps you up at night) In Room: TV with internet connected set top box, Desk, Bar fridge to keep your own food seperate from others, Recliner, Clothes rack/hanger, Bedside cabinet.